I put some whells and the Vigland Springs sport of the 530i BMW 2014! I'm definitely going to lower my car with a set of springs. The Vogtlands can be had for about $230 shipped from an ebay seller. 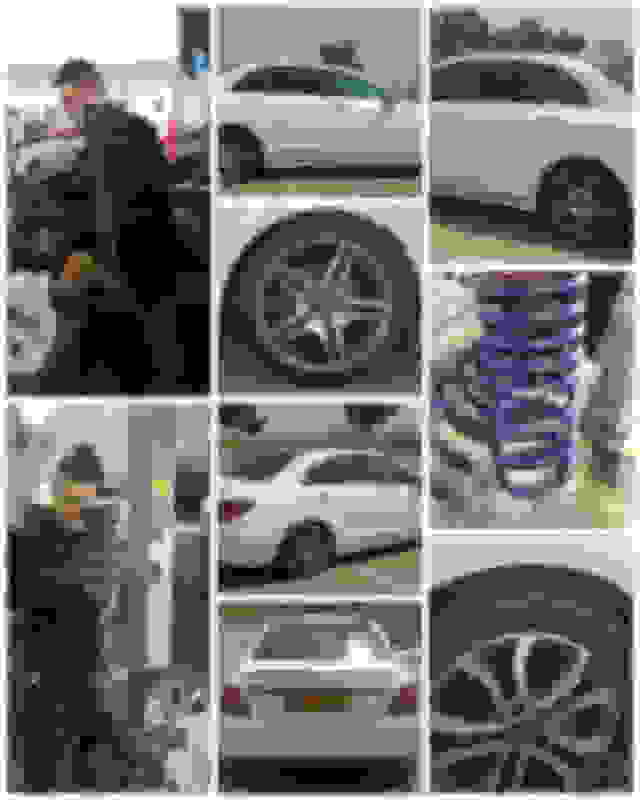 I found this sweet photo of a car with H&R springs but H&R's website doesn't list the W205. Forum sponsor, 3W Distributing was recently advertising that they'll have springs available from Brabus in mid-January. I'm guessing they'll be significantly more expensive but we'll have to wait and see. Gotta say your car just made me rethink ordering the sports sedan.. 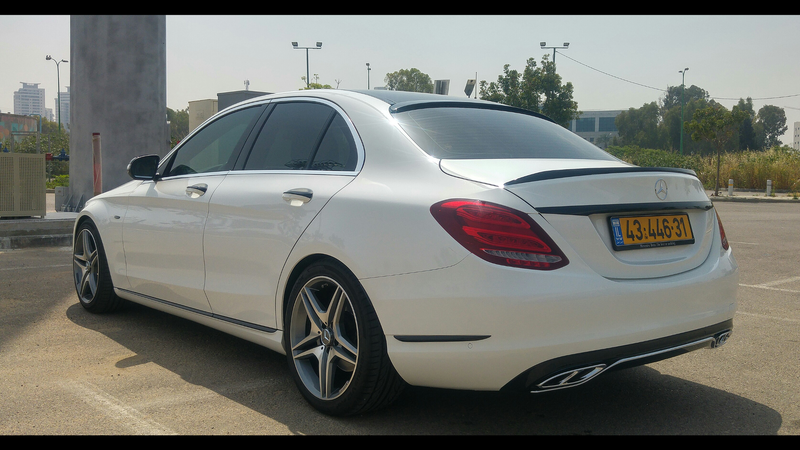 The luxury is really looking fantastic lowered and with bigger rims.. A mini s class... I think I need to get the luxury instead.. wow is all i can say!! anymore pic of the luxury with lowering spring or coils? Anyone with a C300 4matic lowered and can confirm using what Springs? Vogtland - cant find on their website but users on this forum say they were able to find it on eBay before. I think I prefer HR, most users on this forum say Vogtland very stiff. Have H&R lowering springs on my 2015 ML250. Could not buy them in U.S. Ordered from "tunershop.uk". They have a GREAT website. 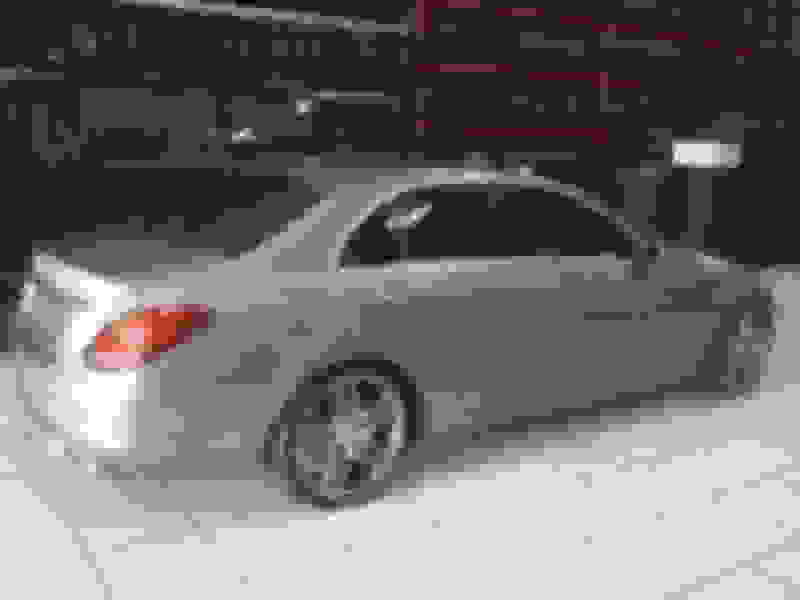 I have a c400 but when originally looked at getting lowering springs H&R didn't list them on their website so I called them and they told me which ones to get. They stated they're a little behind in updating the website so I'd recommend calling them and see if they're available. Anyone interested in Eibach Pro-Kit? I heard that it has more comfort compared to others. Just saw there's one probably capable for W205 C300 4matic. 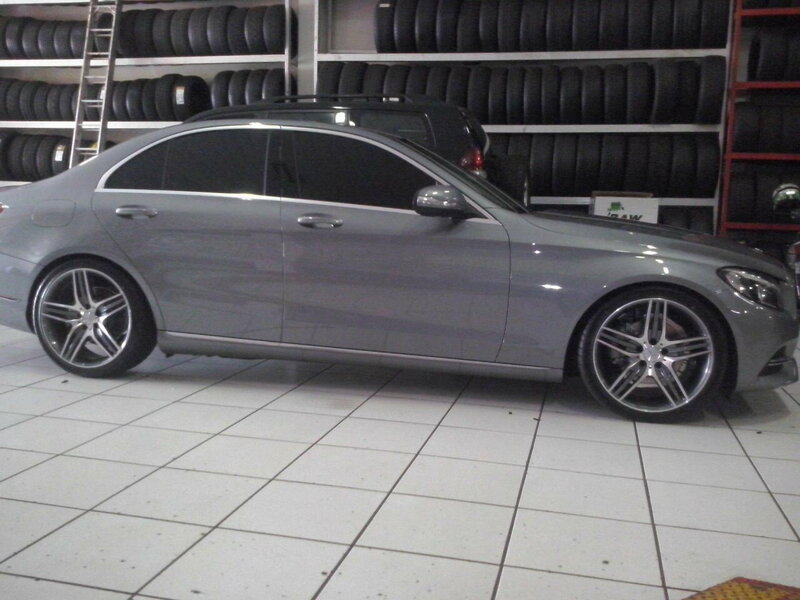 Capt Slo, that's actually the picture of my car straight after the AMG wheels and spring installation. Haven't had the opportunity to take any pics of my own as we're experiencing monsoon rains for the past 2-3 weeks straight. Anyway, H&R and Eibach do list their applications online. Try going to the German website - for H&R this is it. Look at the middle right side of the page under "PARTS CATALOGUE" and you'll be able to find the application for W205 including part numbers. In Malaysia, all current deliveries of C250s come in Exclusive trim guise only, hence the traditional grill. 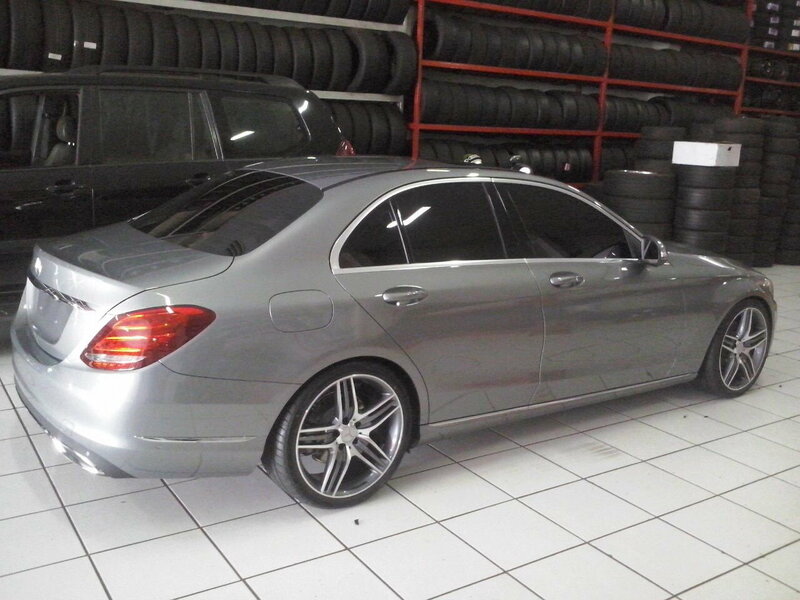 We can't individually spec the car like in the US/UK/etc.. and you buy as it is spec'ed by Mercedes Malaysia. With the H&R springs, it's now a 1 finger gap all around thanks to the 45mm & 35mm drop (FA & RA) from the standard setup - just need to be more careful with our road conditions but it looks fantastic over the original 4 finger gap! I'll be swapping the standard shocks to Bilstein's B8 or B16 once they are available, which should be in a couple months time. Eibach lists a 35mm (FA & RA) drop so you can consider those as well. Together with the 19" AMG wheels setup, handling is significantly improved - hardly any body roll now. Only thing is I may need to re-level the headlamps since my illumination distance is shorter now I think - probably get it done once the shocks are installed. Vic Viper if you're reading this, did you have to re-level your headlamps after you lowered your car with lowering links? I have the LED High Performance system and although it features an auto-leveling function, I'm guessing it works off the standard height instead of the current lowered height? 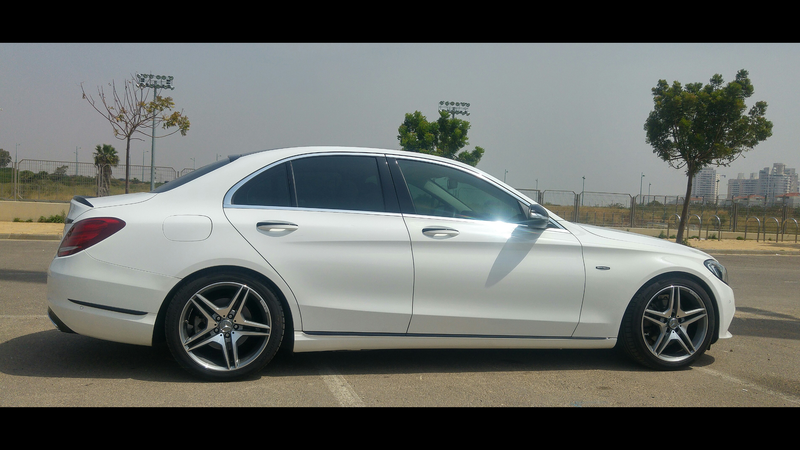 your car looks great, and I wanted my car to look the same; i am thinking of lowering the C250 W205 2015 model which I purchased recently for about 35 to 40 mm; would this be ok, i mean would the tire hit the fender when steering right or left? and I have tried to look for the H&R lowering springs but could not find the ones matching the W205 on H&R website; can you help me in this regard?